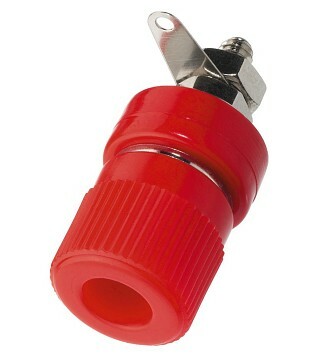 Enlarge Banana Plugs Banana plugs for speakers, 4 mm, spliced contact, long PVC cable bending protection. 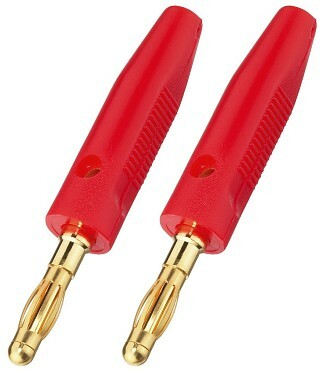 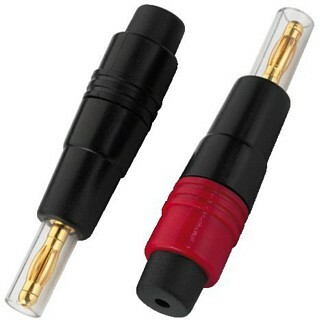 Enlarge Pair of banana plugs for speakers, 4 mm, with spliced contact, complete gold-plated version with a red or black code ring. For accepting cables up to: Ø 4 mm. 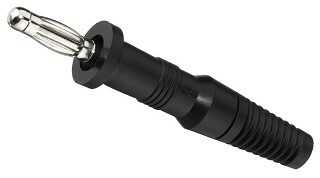 Also suitable for high-performance technology. 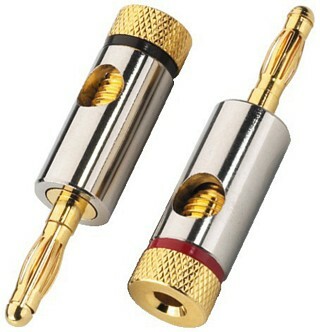 Enlarge Pair of banana plugs for speakers, 4.5 mm, with spliced contact, nickel-plated body with gold-plated contacts, cross hole for accepting cables up to: Ø 6.5 mm. 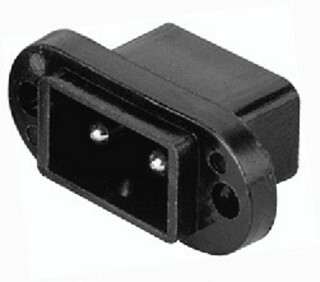 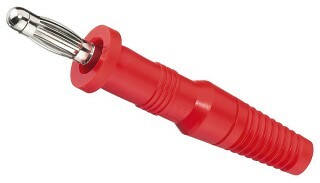 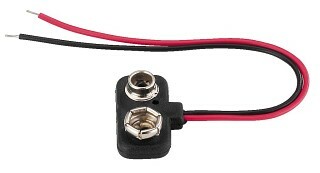 The cable pressing screw features a mounting hole of Ø 4 mm for accepting an additional banana plug. 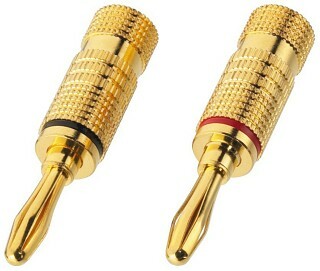 Enlarge Pair of banana plugs for speakers, 4 mm, spliced contact, plastic body with gold-plated contacts, with protection against accidental contact (sliding cover). 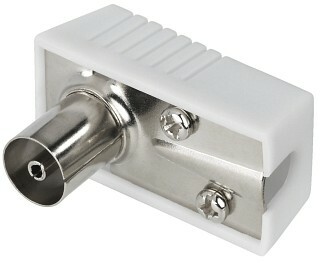 Solderless fitting up to Ø 5 mm. 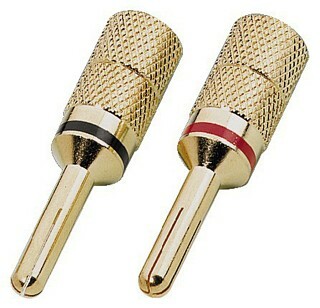 Enlarge Pair of banana plugs High-quality, gold-plated version of the 4 mm standard type, solderless fitting up to 4 mm2.